With the government shutdown at an end, at least for the next few weeks, President Trump and Speaker Pelosi quickly agreed to hold the State of the Union on Tuesday, Feb. 5. Of course, some commentators have openly wondered how much the address still matters, especially in an age of constantly shifting news coverage and strained public attention. Indeed, at first blush, it might be tempting to agree with Chief Justice John Roberts, who once dismissed the event as a “political pep rally” (although he still regularly attends). But the speech is a major media event (the most watched speech of the year), and historically it has been the occasion for the President to signal his upcoming policy agenda — before the exaggerated applause (and exaggerated scowls) of the assembled members of the U.S. Congress. 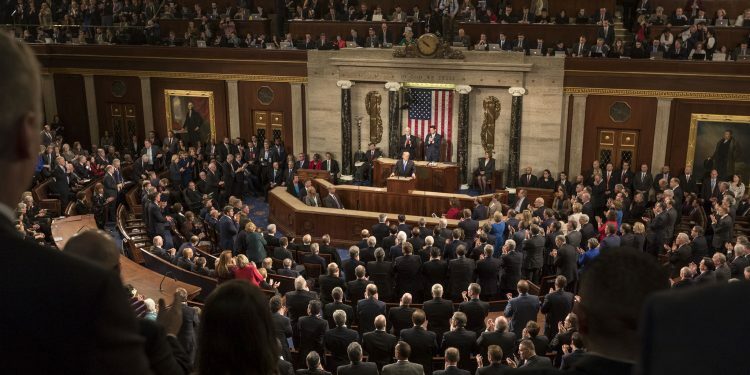 And perhaps most importantly, the State of the Union address is a prompt for the President to become the nation’s most prominent storyteller — both in sharing tales of individuals (an important tradition since the 1980s) but also in making the case about who we are as a people and where we are going. 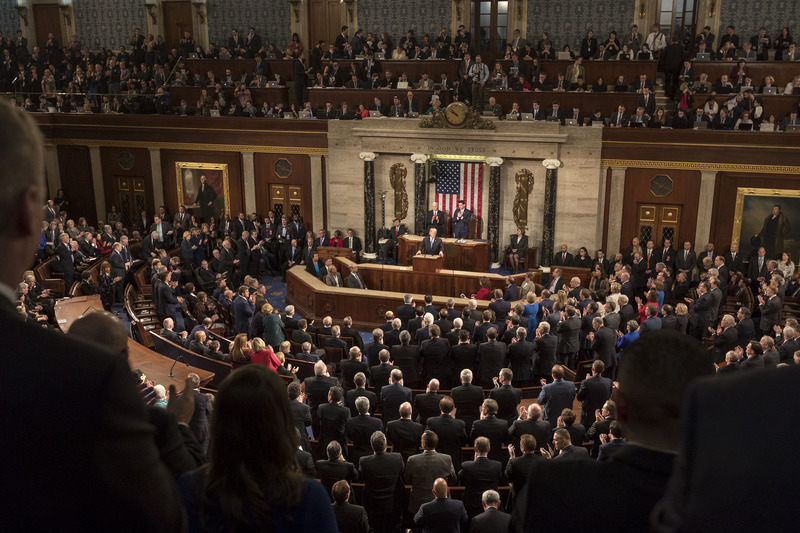 We identify four reasons why stories dominate the American political arena and why tales of both triumph and loss are certain to appear in the 2019 State of the Union — whenever it occurs. The neuroscientist Gregory Berns has said that the human brain is a “lazy piece of meat.” We look for shortcuts to help our sluggish minds sift through an often overwhelming world. In politics, for example, we use cognitive cues (sometimes called “heuristics”) like party labels, physical appearance, and a politician’s confusion about how grocery stores work to make judgments about whether we want them to represent us. A political story is also a shortcut. Told well, it provides a sufficiently comfortable and familiar framework punctuated with a memorable, evocative, and novel way of looking at the world. This marriage of content and form reassures listeners while helping them focus on and retain specific information. With his sketch of “Mother Hale,” President Reagan primed the public to consider both the scourge of drug abuse and the work of volunteers (rather than government) to solve a public health problem. His story reinforced his policy agenda and provided a memorable real-life character to support his initiatives. Closely related, stories — whether spun in the course of political speeches or fiction — let authors express elements of our humanity (passion, sensualism, anger) that might be otherwise elusive or even forbidden. Short political narratives help our leaders overcome the tension between reason and passion by gesturing to sentiment without explicitly admitting that the basis for decision-making may be emotion. In a January 2016 speech on gun control delivered from the White House, a visibly emotional President Obama referenced “love” and “loved ones” eight separate times, culminating with his account of a “beloved” high school sophomore, Zaevion Dobson, who gave his life to save three classmates during the 2015 Fulton High School shooting in Knoxville, TN. And in his first inaugural address, President Trump sketched a picture of “mothers and children trapped in poverty in our inner cities” and “rusted-out factories scattered like tombstones across the landscape of our nation” as the backdrop for his pledge to support the “dreams” and “courage” and “love” of the American people. In the same way, telling stories can help Presidents become emoters-in-chief, setting the tone for public sentiment and political discourse, and highlighting their personal empathy. These elements of storytelling help our leaders with another challenge: overcoming widespread political distrust. As communications scholar Roderick Hart points out, the size and diversity of our society, the mystery of our complex political system, the “distance between leaders and followers,” and the division between rich and poor produces distrust in every era. But over the past half century, our belief in leaders and government has dramatically cratered. As the Pew Research Center documents, in the 1960s, three out of four U.S. citizens trusted government to do what’s “right” most of the time. Today that figure is at 18%. For today’s politicians who need to increase their connection with skeptical constituents, turning to brief stories can help overcome this trust gap by humanizing and grounding the leader as well as her policy proposals. As President Reagan’s reference to Mother Hale suggests, presidents over the past few decades have regularly used the State of the Union to share tales of specific citizens who embody some virtue or accomplishment that casts reflected glory or at least legitimacy on the chief executive. With this anecdote, the President simultaneously showcased his own compassion and unique power to speak for the nation as a whole. He also invited his audience of millions to join the story in their own way: either by sharing the President’s grief or by identifying with Rieman’s civic virtue. But given our deep distrust of politicians, and doubts about their ethical stature, this is a tall order in twenty-first century America. Put differently, political stories help teach morality because they are indirect and open. The tale of Sergeant Rieman’s heroism can be interpreted by countless listeners as an example of patriotism or valor in combat or selflessness. Each citizen interprets the story in a way that is meaningful for him or her, thereby becoming an active participant in the tale, and an accomplice in the President’s agenda. Despite the enduring reach and power of political storytelling, our current political climate sets the limits of this strategy. While President Trump’s explicit purpose was to unify, polling conducted after the speech indicated that one of the few ideas people shared was a belief that the country is “mainly” or “totally” divided. Like fiction, political speeches, and the stories within them, are carefully crafted. They are designed to calm or agitate, unite or divide. The right anecdote can move the nation to tears or laughter, and inspire us to action. In these stories, we can see ourselves, our political hopes, and our expectations for the future. But because these stories mirror who we are, they rarely change us. They cannot cool the fires of partisanship or calm a roiling nation. Erin A. Dolgoy is an assistant professor of political science at Rhodes College. Kimberly Hurd Hale is an assistant professor of politics at Coastal Carolina University. Bruce Peabody is a professor of government and law at Fairleigh Dickinson University. They are the authors and editors of Short Stories and Political Philosophy (Lexington Books, 2019). Mitch McConnell and the "For the People Act of 2019"